911, 914, 962, 944, and the list goes on and on. There are plenty of Porsche models on the market over the years and the 944 Turbo is just one of those. And the 944 Turbo is one of those models which internally is referred to the Porsche 951. The 951 was only the model number used behind the scenes but on the street and on the market this Porsche was the 944 Turbo and it was one of the most under rated cars ever. The 951 model number never actually made it into the line up. Instead they decided to stick with the Turbo designation and existing model number. This is a fabulous sports car that is well balanced. Whether you need to run around town completing errands, need to take a quick trip on the freeway, or you want to cruise along those winding road where you can let your hair down and enjoy the performance of your car, the 944 Turbo can meet all your driving needs. Fast, elegant, stylish, sophisticated, and functional, are all words that describe this car well. 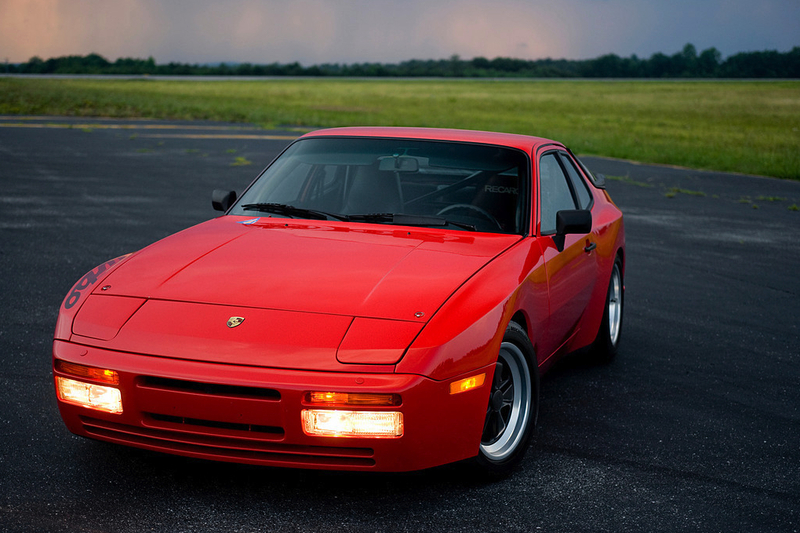 The 944 Turbo was introduced in 1986 and immediately it was noticeable that this was a step above the rest. The competition was much smaller at that time as well, with only the E30 BMW M3 being a direct competitor (learn more about the modern descendant of the M3, the new 2016 BMW M2. The smooth front end had the fog lights integrated into the bumper and the rear had a functional but design orientated chin spoiler under the bumper panel. 16 inch wheels were standard equipment compared to the 15 inch tires seen on the 944. The turbo also seen an interior face lift with a fresh inviting makeover. But the big differences were under the hood with the turbo charged 2.5 liter 4 cylinder engine that output 217 hp @ 5800 rpm. That was a 50% increase from the 944. That’s pretty impressive! The 8 valve SOHC in line 4 was an aluminum block with aluminum heads and it had a displacement of 151 cu. in. The power to weight ration was 15.0 pounds per horsepower with a compression ratio of 8.0:1. It also had the famous Bosch LE Jetronic fuel system which gives you 19 mpg in town and 25 mpg on the highway. And of course suspension is important which is why you will find Macpherson struts on the front with lower A arms, tube shocks, coil springs, and anti roll bars. On the rear you’ll find semi trailing arms, tube shocks, torsion bars, and anti roll bars. You also get a five speed manual transmission. If you are wondering about performance you are going to be impressed. You can get from 0 to 60 mph in 6 seconds and you can do a quarter mile in 14.2 seconds. There’s a top speed of 155 mph. Over the years Porsche has brought many different models to the streets and to the race tracks some more successful than others. And the 944 Turbo isn’t the first one to have another name behind the scenes. So the next time someone starts wondering about the Porsche 951 you’ll know exactly which car they are talking about.